Rose Scott was born on 8 October 1847 at Glendon, NSW, the fifth of eight children. Educated at home, she read widely and from an early age became concerned about social issues, particularly issues that affected women and children. She was greatly influenced by J. S. Mill's The Subjection of Women (1861) and her library included works by classical and contemporary women novelists and feminists. When her father died in 1879 she inherited an income of £500 a year and the responsibility of caring for her ailing mother who died in 1896. From 1879, with her mother and her nephew Harry, she established a home in Jersey Road Woollahra, instituting her Friday evening salons where politicians, lawyers, philanthropists and writers gathered to discuss and debate social issues. Rose Scott became a prolific writer of pamphlets, speeches, letters and articles published in the Sydney press. 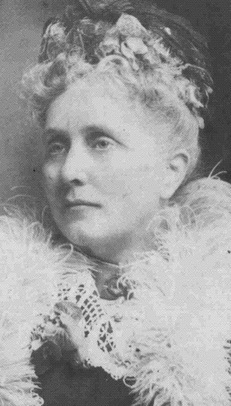 She became one of the founding members of the Women’s Literary Society in 1889, the Womanhood Suffrage League of New South Wales in 1891, National Council of Women in 1896, The Women’s Club in 1901 and the Women’s Political and Educational League in 1902 and went on to hold executive positions in many other women’s organisations. Rose Scott was a feminist activist whose many campaigns were waged through her social contacts, lobbying expertise and writing skills. She sought to reduce men's power over women by creating public space for women and to expand women's material options beyond marriage or prostitution by enabling women to have access to public office. She valued education and in 1921 donated £50 to the University of Sydney for a prize for women law students. In 2014 the Rose Scott Prize for Proficiency at Graduation at the University of Sydney was won by Kathleen Ellen Heath. Implacably opposed to Federation, the British Empire’s involvement in the Boer War, political parties, competition and the militancy of the English suffragettes, Rose Scott sought to build a peaceful society where women and children were not disregarded or exploited in the home, in prisons or in the workplace. Rose Scott died on 20 April 1925 and was buried in the Anglican section of Rookwood cemetery. Her portrait by John Longstaff is held by the Art Gallery of New South Wales.